Jesus Falls the First Time Under His Cross. 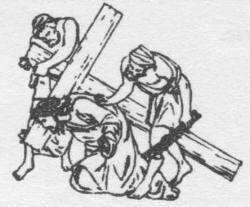 My Jesus, it is not the weight of the Cross, but of my sins, which has made Thee suffer so much pain, Ah! 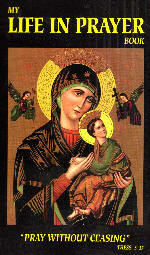 by the merits of this first fall, deliver me from the misfortune of falling into mortal sin. I love Thee, O my Jesus, with my whole heart; I repent of having offended Thee. Never permit me to offend Thee again. Grant that I may love Thee always, and then do with me what Thou wilt.